Consumers should have seen it coming a mile away. 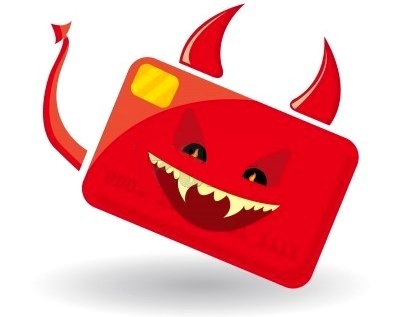 In May, Congress passed the Credit Card Accountability, Responsibility, and Disclosure (CARD) Act of 2009, which included lots of new rules designed to protect consumers from predatory practices by banks and credit card companies, such as hidden fees and sky-high interest rates. The new rules, which go into full effect on Feb. 22, threaten to take a big bite out of the $15 billion in penalties and fees that the industry collects each year. So what have banks and card issuers done? They’ve come up with new fees. With a full 44% of American households carrying a balance on their credit cards, the CARD Act was designed to protect consumers by forcing banks and credit card companies to eliminate confusing language in their agreements and statements, make the terms of their credit cards easier to understand and be more accountable to consumers and the government. No more unfair rate increases – Credit card companies are notorious for increasing the interest rates on your credit cards at any time, for any reason, or for no apparent reason at all. Got yourself a fantastic “introductory rate” on a balance transfer? One late payment or a problem on a different credit card could cause a credit card company to take away that favorable rate and replace it with a sky-high rate. The CARD Act eliminates these practices. No “universal default” – Over the years, more and more credit card companies adopted the practice of giving you a high “penalty rate” if you defaulted on any other debt and that default (late payment, non-payment, etc.) was reported to a credit agency. No more. Credit card companies can’t penalize you for what’s going on with your other debts. Keeping favorable interest rates – The interest rate for purchases on a new credit card cannot change for the first year, and any promotional rate offered by a credit card company must last at least six months. Your rate can’t be “retroactively” increased on a promotional rate until after you’ve been at least 60 days late with your payment. Changes to fee calculations – Banks and credit card companies must give consumers consistent payment cycles of at least 21 days, can’t automatically charge “over the limit fees,” and can’t continue to use “double cycle billing” (a way to charge you interest on your balance twice, even if you’ve paid it off) to calculate interest. Limitations on student credit – The law attempts to protect college students from their own bad behavior by preventing credit card companies from issuing cards to anyone under age 21 without a co-signer. This action sounds nice, but it naturally ruffled a lot of feathers as the age of majority is 18, and at that age young people can enter into legally binding contracts and generally behave like adults… except when it comes to credit cards. Plain language – Applications, statements, and other notices about your credit card must use clear wording and readable type, rather than the traditional microscopic “fine print,” to explain the terms of your credit card. 45 days for changes – If your bank or credit card company wants to change the terms of your agreement to your detriment, they have to give you 45 days’ notice of what they’re changing. No more sneaking up on consumers with last minute changes. And they have to give consumers the option of closing their accounts if they refuse the changes.